How to hide subscriber phone number from everyone? Home › Forums › Gwangi – Dating & Matchmaking Community Theme › Website Setup › Forums › How to hide subscriber phone number from everyone? Subscribers phone number is visible to registered and non registered members. How to hide it from everyone? 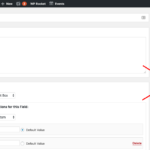 You can change the visibility for each field when editing its settings. Please go to your dashboard and navigate to “Users > Profile Fields”. 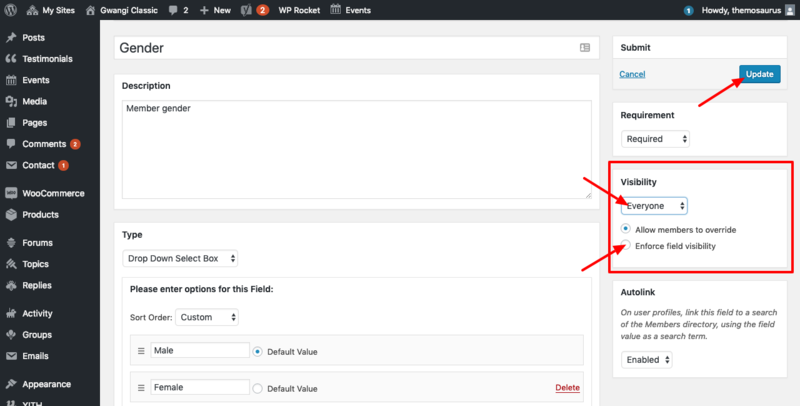 Then, click on the “Edit” button your field and modify the “Visibility” settings. The topic ‘How to hide subscriber phone number from everyone?’ is closed to new replies.